Livestock and other so-called “invasive exotic” animals can replace missing wild animals’ beneficial effects on plants when they are managed to copy natural grazing patterns. These and other innovations of restoration agriculture practices are discussed in the article below. One summer morning in the late 1970s, Charles Massy got into his tractor and ploughed up the parched, basaltic dirt of a paddock on his farm in Australia’s drought-prone Monaro region. Before he could seed it with grasses and legumes in preparation for pasturing the season’s new lambs, a thunderstorm rolled across the undulating plains. In minutes, Massy recounts in his book Call of the Reed Warbler, driving rains washed away 1,000 years worth of topsoil and with it, the bacteria, fungi, insects, and nutrients vital to a healthy agricultural system. Massy’s own actions caused another sort of damage. His plowing, amplified by years of leaving sheep to devour grasses down to the nub or yank them up by the roots, churned up what scant carbon was stored in the already fragile, depleted soil and released it into the ether. Sequestering carbon has become a topic essential to the broader conversation about how our planet might survive the escalating effects of climate change. Livestock are frequently demonized as the enemy of this process. That’s partly because raising animals for meat and dairy accounts for 5 percent of global carbon dioxide emissions; unsurprisingly, study after study—including the United Nations’ most recent, bleak climate report—affirms that humans need to reduce consumption of animal-based products in order to fend off planetary disaster. This has led to the advent of a booming industry centered on plant-based “meats” and “milks,” buoyed by a rallying cry from some quarters to abolish meat and cheese and butter and eggs from our diets wholesale. Livestock farming such as Massy once practiced it—the way many farmers and ranchers continue doing it, by overgrazing of open grass- and rangelands, or by grazing lands not suited to the practice—can be an ecologically ruinous way to produce food. It can destroy soil health and biodiversity, emitting greenhouse gasses in the process, including carbon dioxide. And yet, research also confirms that livestock provide ecological services too great to warrant their complete removal from the landscape. Properly managed under the right confluence of conditions, cattle, hogs, sheep, goats, and chickens can help mitigate degraded soils and restore healthy ecosystems, which helps lock carbon deep in the ground. About 40 percent of ice-free land on earth is considered grazing land, which sequesters about 30 percent of our planet’s carbon pool. Project Drawdown, a group of international scientists focused on climate research, lists silvopasture, a form of livestock production that comingles trees with pastureland, number nine on its list of 80 modeled solutions to reverse climate change. It lists managed grazing—what a much-reformed Massy practices today—at number 19. Trees generally capture and store more carbon than grasses and shrubs. Size, density and longevity all factor into this ability; tropical staple crop trees are especially good at it. And tropical forests sequester half our terrestrial carbon—about 470 billion tons worth. Often working against these heroic efforts on the part of plants and trees, though, is agriculture. To produce some of the food we need in order to live, we disturb or destroy our carbon-storing ecosystems. We run animals through them in unsustainable ways, or we chop them down and plow them up to raise monocultures of crops like corn and soy—some of them to feed livestock, others to produce the fake meat that’s meant to replace real meat—that require still more plowing, as well as the application of chemicals that kill beneficial soil bacteria, fungi, insects. The land becomes degraded, and carbon-poor. Improbable and illogical as it may seem, livestock can help. That disastrous storm on Massy’s farm was followed by five years of drought. 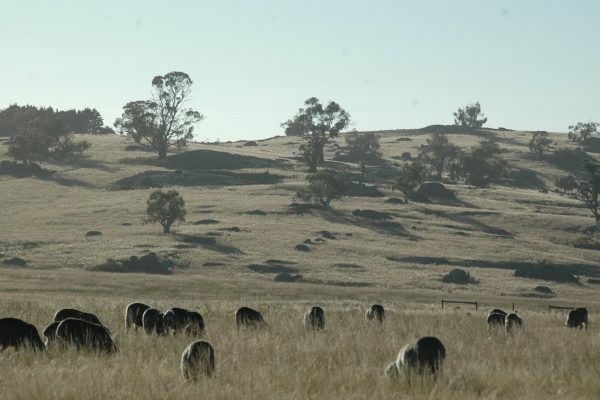 Across Australia, over-cleared, over-grazed grasslands suffered, susceptible to dust storms and erosion. Massy, though, began to “swing toward ecological grazing and cropping,” he says, educating himself by visiting other farmers who’d recognized the destructiveness of ranching-as-usual. According to Project Drawdown, livestock grazing occupies one-quarter of land area in the world—some 3.3 billion hectares. It estimates that 79 million hectares already employ managed grazing along the lines of what Massy now practices on his farm, although it considers 1.3 billion hectares of the earth’s plant-able surface to be wet enough to be suited to this practice. 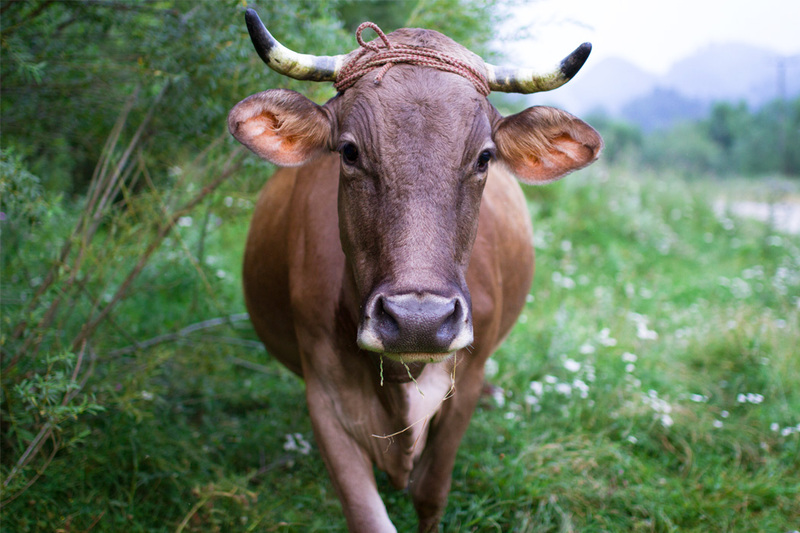 If managed grazing could be amped up worldwide, it could sequester over 16 gigatons of carbon by 2050. What managed grazing does not do, is eliminate methane and nitrous oxide emissions. And yet, Project Drawdown found that carbon sequestration more than offset them. “If we can figure out where the best places to have rangelands are, and make sure they’re well managed, we can gain all these benefits,” says DeLonge. How powerful? Project Drawdown estimates that silvopasture can sequester almost two tons of carbon per acre per year, making it one of the most effective carbon-storing tools in agriculture. This power is already recognized in countries like Brazil, Australia, and Mexico, where governments give farmers financial incentives to transition to silvopasture systems. So far in the U.S., though, it remains little-known and -understood. With some notable exceptions—like on Steve Gabriel’s 35 acres of once-nutrient-poor hayland outside Ithaca, NY. There, Gabriel, an agroforestry specialist in Cornell University’s Small Farms Program, has been experimenting with silvopasture for the past five years. He wrote a guidebook to it for North American farmers interested in learning more about it, based partly on his own experience. “When we got [the farm], there was pretty poor diversity—a lot of goldenrod, a lot of woody stuff, soil that didn’t soak up water very well after rain because it had become compacted from having machinery driven over it for decades,” Gabriel says. He introduced a flock of sweet-tempered Katahdin sheep and quickly saw “a transformation of the soil as they freed up nitrogen and nutrients and fertilized it at the same time,” transforming the land into vibrant pastures rich with clover, plantains, wildflowers, and grasses. In two pastures Gabriel planted black locust trees and says he began to notice an increase soil organic matter—that is, decomposing plant and animal bits that provide a steady nutrient supply to everything growing in it—which, according to Toensmeier, also increases soil carbon and carbon storage in above-ground biomass. The trees have a range of other uses. 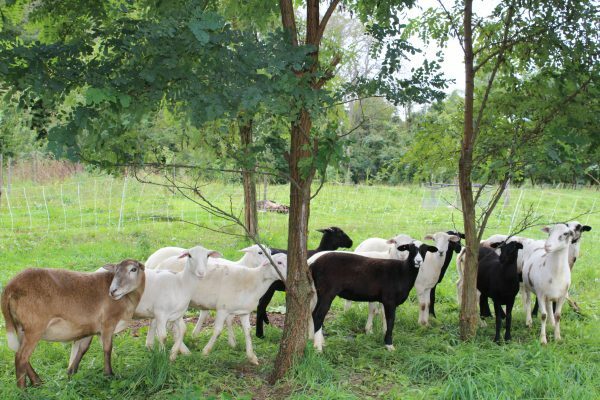 They provide shade to the animals, as well as nutritious forage—Gabriel supplements the animals’ grass grazing with locust branches he snips off the trunk. The main reason Gabriel chose black locusts as plantings is because they’re fast-growing and “the faster the tree grows, the more carbon it’s going to sequester,” he says, at least in its early decades, both in the soil and in the tree’s trunk, branches, leaves. He’s been experimenting with willows, too, which potentially have an added climate bonus when munched by livestock: Their tannins might slow down digestion, reducing methane emissions. In the longstanding woodlands that surround his open pastures, Gabriel uses the sheep to clear out underbrush. This frees the ground up for shelter, and for the seeding in of forage grasses, which can lead to soil remediation and—potentially, in the long run—carbon storage. “Getting invasive brush under control with [livestock] is a beautiful, elegant practice,” says Toensmeier, “but I can’t tell you the carbon balance—it’s certainly not as powerful as fresh trees in pasture.” But other researchers have found that there are benefits to letting (carefully managed) livestock into a woodlot to tidy it up. Forests in their own right are critical to climate mitigation and carbon storage—tropical forest preservation ranks number five on the Project Drawdown list; temperate forest preservation is number 12. But in countries such as Ecuador, forest preservation can be at odds with the needs of impoverished subsistence farmers, who often clear trees to raise crops. Teaching these farmers about silvopasture, then helping them implement and maintain, say, goats on their land, could help to keep forests more intact —and carbon stocks somewhat more secure. But if the projections of Project Drawdown and other researchers are accurate, livestock in the right places, using thoughtful methodologies, just may be able to feed us and feed the soil—all while helping us meet carbon and other climate goals.